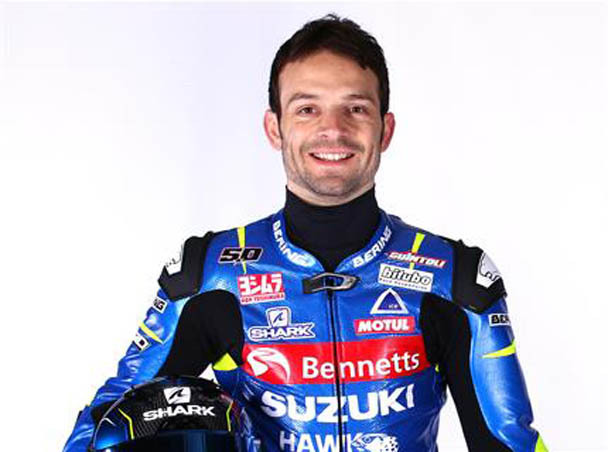 The choice of Sylvain Guintoli to substitute the injured Alex Rins is a sort of natural choice for the team: not only he has been Superbike World Champion in 2014, but he also already has experience in MotoGP, and he is already a Suzuki rider. He is currently competing in the British Superbike Championship with team Bennetts Suzuki aboard the brand new Suzuki GSX-R1000R. He is actually in 12th position with 15 points, and participation in the MotoGP rounds will not clash with any races of the BSB calendar.